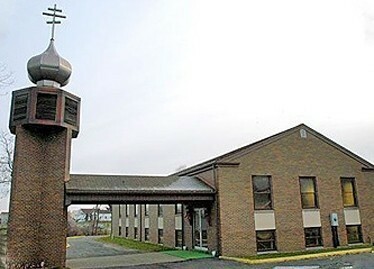 The church is 4 miles south of Steubenville, OH and about 45 miles southwest of Pittsburgh, PA.
Take the Murdock St exit and proceeed up the hill to Summit Ave. Turn left onto Summit, then an immediate right onto the Lincoln St extension. The church is on the right.